My favorite part of breakfast is always the starch. Actually, my favorite part of any meal is the starch but particularly at breakfast. For me, breakfast potatoes make the breakfast meal. Potatoes have always been a favorite of mine so this is really no surprise. 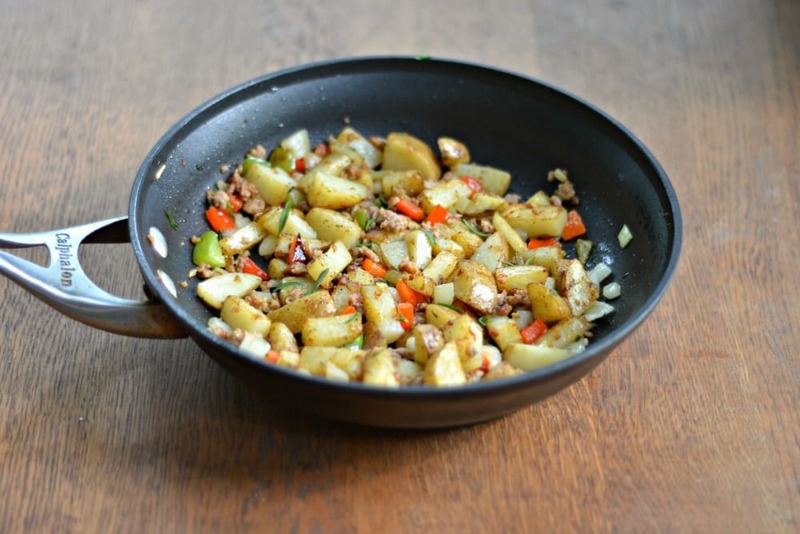 One of my favorite breakfast potatoes are skillet breakfast potatoes. 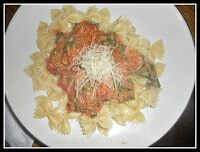 Some places put vegetables in them other season them to perfection. I wanted to make my own but I wanted to give them a spicy twist. 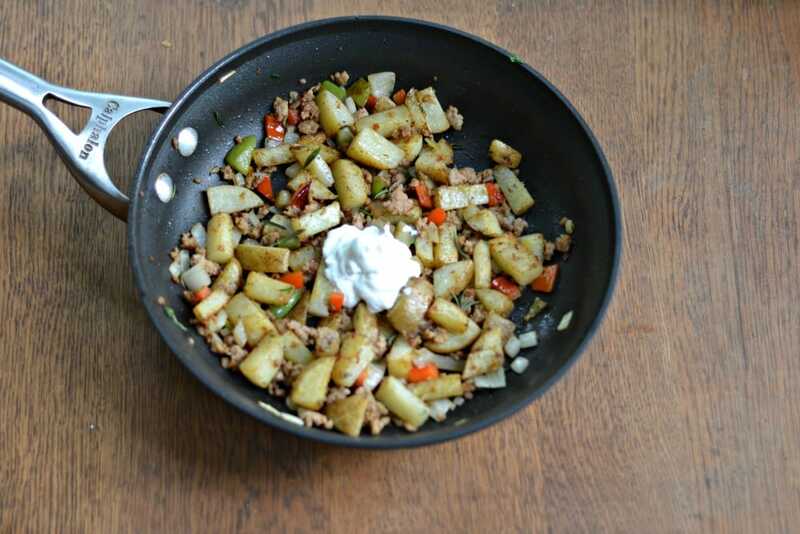 I first thought that I would add hot sauce or cayenne pepper to spice them up but as I got to thinking I thought it would just be easier to add spicy sausage to the potatoes. I also wanted to add red and green peppers for both color and flavor. Plus I love onions in breakfast potatoes; it adds such a wonderful flavor. The more I thought the better these potatoes were getting. When I finally got around to making them my mouth was watering just smelling the spicy sausage and the frying of the potatoes. Since I just picked up my CSA and there was plenty of fresh rosemary in it, I thought that would be a great source of flavor in the potatoes. I also seasoned them with salt and pepper. In the end the potatoes were hot and crisp on the outside but soft on the inside. The peppers and onions added a lot of flavor and the sausage was spicy! I decided that a dollop of sour cream would be a great way to cool off the spiciness of the potatoes and it turns out the creaminess was amazing! 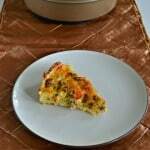 This is a great dish to prepare for a quick weekend breakfast or for a big brunch. This summer the Idaho Potato Commission is sponsoring a contest to re-invent the breakfast potato for the Food & Wine Conference coming up in July. 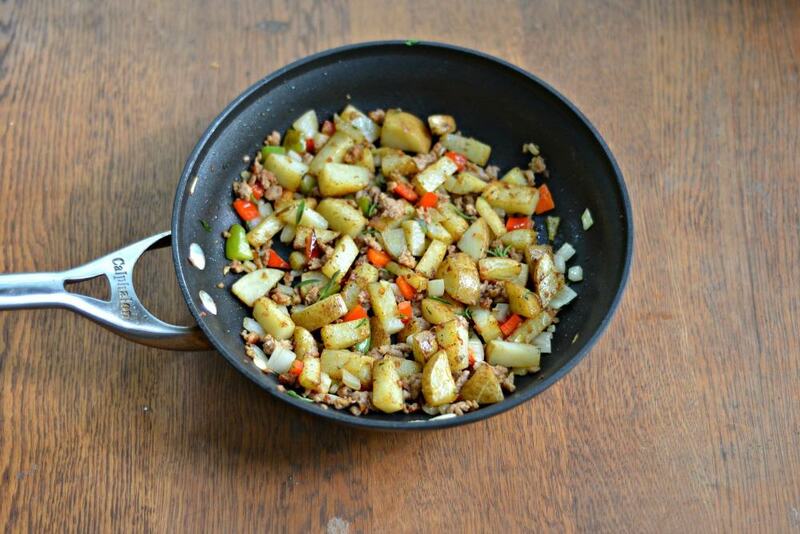 I’m entering my spicy skillet breakfast potatoes and you should enter your breakfast potatoes! First prize is $500, a ticket to the Food & Wine Conference, and other great prizes. Remove the sausage from its casing and place in a large skillet over medium heat. Cook the sausage for 5-6 minutes, crumbling with a spatula, or until it has browned. Remove from the skillet and place in a bowl. Add the olive oil to the skillet along with the potatoes. Saute for 10 minutes, stirring occasionally, or until the potatoes are starting to soften. Sprinkle with the salt and pepper then add the onion, red pepper, and green pepper. Saute for 5 more minutes. Return the sausage to the pan along with half of the rosemary and cook for 5-10 minutes or until the potatoes have browned and are soft. Remove from heat, taste, and add salt and pepper if needed. 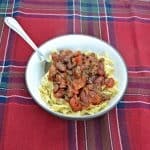 Sprinkle with remaining rosemary and serve on the skillet. 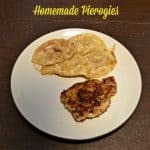 Great recipe, will try this Sunday morning for breakfast!